Our founders, Wolfgang Kutrieb and his wife Marianne immigrated to the United States from Germany, and in 1967 their entrepreneurial drive lead to the creation of our technology driven company. Twenty years into a second generation, Wolfgang and Marianne work with their three sons, Mike, Tom and Toby. 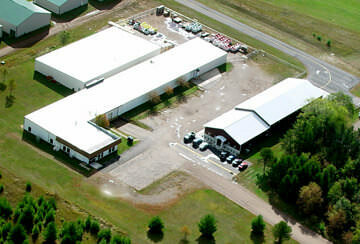 The family leads product development, sales and manufacturing at the company’s 37,000 square foot facility in Chetek, Wisconsin. Turbine Technologies, Ltd. designs and manufactures premier educational laboratory products. Our turnkey products offer students exciting hands-on experience in science, engineering and technology education. Data acquisition equipped items like a real jet engine, a steam electric plant and even a 3-phase wind turbine generator present affordable, real-world learning opportunities. We hope you’ll enjoy browsing our site and ultimately decide to become part of our ever-growing operator family. Learn more about Turbine Techologies' history.